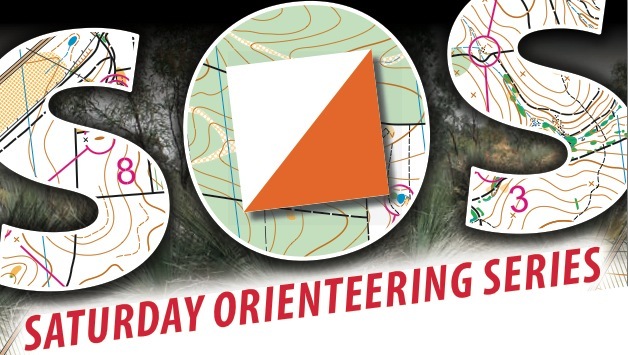 As an orienteering club, our main season is through the winter where the cooler temperatures are better for our sport. The Sydney Summer Series, which is a good way to stay fit over the summer months, is actually just as popular as our bush events as it attracts a lot of office workers, trail runners, road runners and walkers. For 26 weeks explore the around the parks and quieter streets of Sydney, discovering the secret hidden lookouts, picnic areas and trails. So popular, the North-centric SSS has now spun-off a Southern Sydney and Western Sydney series! So who kept fit over the winter months? Let's check out the top results from our club members in the first event. Tshinta Hopper's great new haircut must have given her an aerodynamic advantage as she collected 410 and a massive 89 points, just behind the Jones girls. Joel Putnam - a good run but not up to Brendan's pace, with a score of 480 and 69 points. Alitia, our first in the Open Women, claimed she was struggling a little from a couple of relaxed weekends at friend's weddings, but still scooped up 400 and earned a respectable 75 series points. Led by Andrew Graham with 520 and 79 points. Closely followed by Richard Pattison (510/77) and Darren Slattery (500/76). Category winner Richard Morris brought it home early, scoring the maximum 600 in just 41:19. Excellent performance! Won by Mel Cox, with 520 and earning 100 points towards the series. Gwen Sewell was back onboard with a score of 200, which would have her winning Walking Women, but keeping the opportunities open she has entered Legends, and still managed to bag 65 points. If you ran with a GPS watch, don;t forget to upload your run to Routegadget, where you can compare your route choices with other runners. After a couple of days to let the legs settle (no stairs please), we've just 5 more days to train up for week 2. Join us at North Epping. Start any time between 4:30 and 6:45pm.